Springfield, MO -- The Chapmans' Acoustic Shoppe in Springfield, Missouri has been named one of the world’s Top 100 musical instrument and product retailers for the 1st time. The global association for the music products industry, the National Association of Music Merchants (NAMM), will formally present The Acoustic Shoppe with the Top 100 honor during the industry’s upcoming trade event, Summer NAMM in Nashville. Nazareth, PA -- C.F. Martin & Co. is pleased to announce that chairman and CEO Chris Martin IV has been named incoming secretary of the NAMM executive committee through 2015. The appointment was announced during the annual board meeting at the Summer NAMM conference this past weekend in Nashville, TN. Chris Martin previously served on the NAMM board of directors from 2000 to 2003. "It is an honor to be appointed to the NAMM executive committee," Martin said. "NAMM has been a wonderful supporter of the Martin brand and our products for many years, and I am looking forward to working on a deeper level with the group on opportunities and issues that are relevant to the industry." 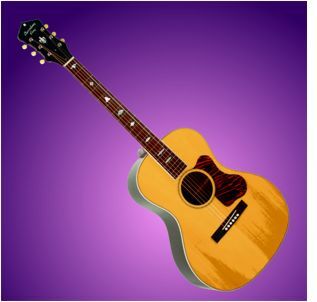 Hayward, CA -- Recording King introduces the all-solid RD-310 with Adirondack Spruce top for players who want the increased volume and projection of an Adirondack top with an affordable price tag. Adirondack Spruce (or Red Spruce) has become a serious buzzword over the past year. Hayward, CA -- Recording King is proud to unveil our USA Custom Shop, producing exquisitely crafted, one-of-a-kind collector's banjos handmade in the USA and available exclusively through The Music Link. Designed & conceived, then hand-engraved, by former Gibson Banjo Custom Shop head Greg Rich, Recording King USA Custom Shop banjos continue the tradition using craftsmen from that era and representing the finest banjo American construction has to offer. Hayward, CA -- Recording King updates our Century Jubilee Series Slope Shoulder guitars with an extended scale length and vintage styling. Recording King says, "We've taken everything great about our slope shoulder guitars and added a bunch of new features that will please both modern players and vintage enthusiasts. Following the early mid-century 'Jumbo' to 'advanced Jumbo' change, we've extended ours to the full dreadnought scale of 25.4" for a little more punch and projection." 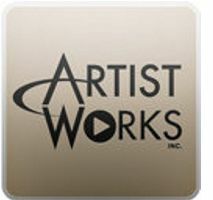 Napa, CA -- ArtistWorks (www.ArtistWorks.com) will be unveiling its fourteenth online music school at the 2012 Winter NAMM Show in Anaheim, California,19-22 January. The leaders in online music education will announce new online schools for Dobro and Latin Percussion to join their twelve existing schools and two academies that already use the innovative Video Exchange™ learning method.